Today’s show was very entertaining as I had the pleasure of welcoming Karen Rowe and Jim Yeager to the show today. 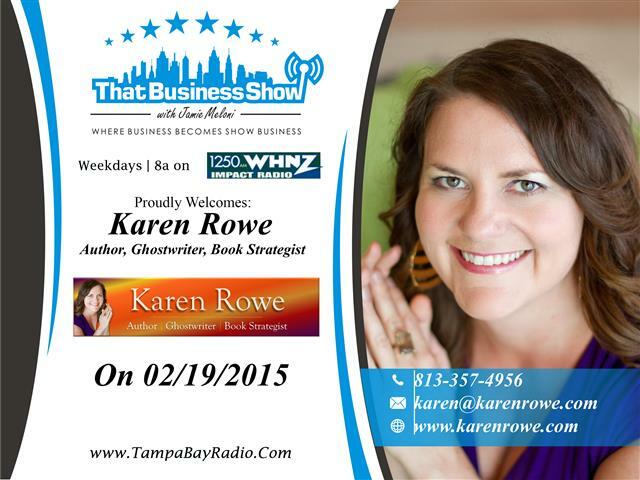 Karen Rowe is a writer and owner of Front Rowe Seat, a full-service writing firm. She turns business owners into authors and establishes them as the expert in their industry. She does all the work and they get all the glory.Karen spends her time in the shadows and has published the stories of a retired FBI agent, a reality TV star and a motion picture actor. The biggest problem of writing a book is … writing the book. It’s time consuming and a chore. She solves that by writing the book for you and doing it 10x faster. Reach out to Karen Rowe at http://www.karenrowe.com or phone at 813-357-4956. You can also email her at Karen@karenrowe.com. 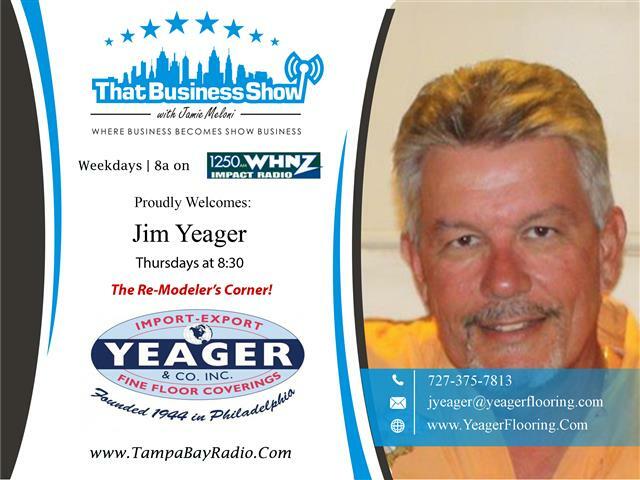 On the 2nd part of the show was the weekly feature, The Remodeler’s Corner with Jim Yeager of Yeager and Company. Jim brought with him Charlie Palaveda (Charlie the Plumber) who is a regular caller to many radio shows in the Tampa Bay region and a very entertaining character. He spoke of his past Wrestling career and service in the Marines of which Jim Yeager is also a Marine. After an entertaining opening with Charlie, he spoke of some preventative maintenance you need to be aware of with your water heater and also spoke about the benefits of tankless systems and some information that consumers need to be aware of for these types of systems. Yeager and Company is a third generation family owned business based in Odessa, Florida and is a full service Contracting company. Jim also offers listeners of That Business Show a special offer on flooring, just mention you heard him on the radio. Learn more at http://www.yeagerflooring.com or phone at 727-375-7813 or email at jyeager@yeagerflooring.com!